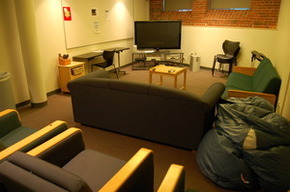 Welcome to the virtual tour of the Warehouse graduate residence! 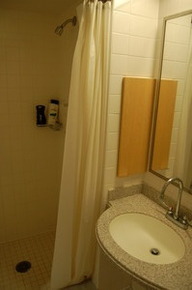 I will guide you around the building, showing you some of the facilities provided for residents, and a typical apartment. 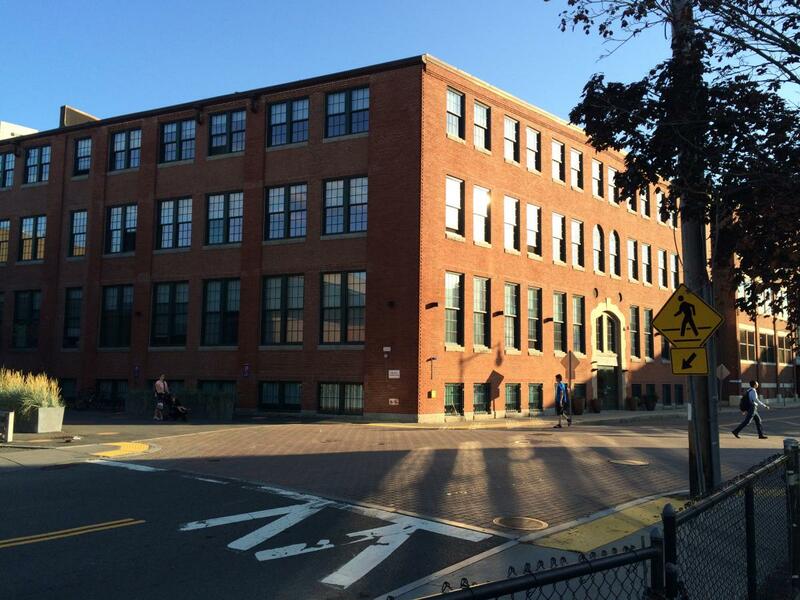 The Warehouse is located on Albany Street, a few minutes walk from the main academic buildings on the MIT campus. On weekdays a regular shuttle service also operates with several stops around the MIT campus including one in front of the Warehouse. 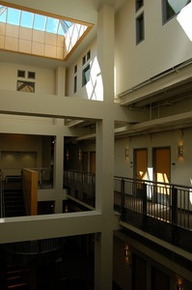 Other graduate residences - Ashdown House, Sidney Pacific, and Edgerton House - are also located in the northwest corner of the campus, creating a lively neighborhood of about 1,500 graduate students. As we step into the building, we are greeted by the front desk staff. Hi! 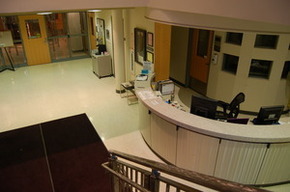 The front desk serves to help residents and ensure their safety. During the day they also allow residents to check-out useful items such as brooms, luggage carts, sports equipment, DVDs and Wii games for free. 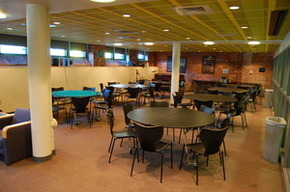 There is an area here where visitors can sit (and entertain themselves with puzzles!) while they wait for you. Those chairs are Le Corbusier's LC2 chairs and sofas. On the right of the front desk we find the mailboxes for residents. Items too big to fit in the mailboxes can be collected from the front desk. 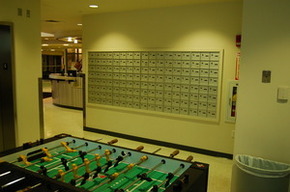 There is also a foosball table here so you can take your mind off any bills you received in the mail! 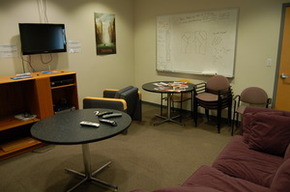 Passing by the front desk again over to the left side of the main entrance we find the TV Room. 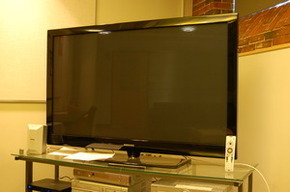 This contains a huge TV (see photo with remote control for size comparison) with a DVD player, TiVo, a Wii game system, and comfy seats. Beside the TV Room is the Colbert Room, the largest space in the Warehouse and location of many Warehouse events. It is big enough to seat all of the residents, with enough space left for the platters of yummy food at the regular Warehouse dinners. 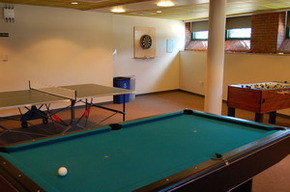 The Colbert Room also contains a number of games facilities for residents: a pool table, darts, foosball, table tennis, and a large collection of board games. 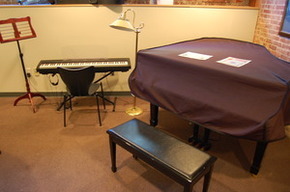 The Warehouse has a piano and an 88-key keyboard in the Colbert Room for residents to play. Continuing through the building we pass the prep room/kitchen, which can be used by residents if they need larger facilities than are available in their apartments. 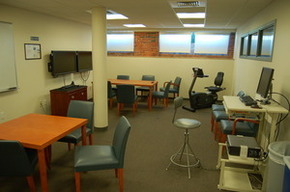 Next we reach the Study Room (Room 046), which is a popular spot for groups to gather and work on projects (note the reclining bike in this photo has now been moved to the gym annex on the first floor). 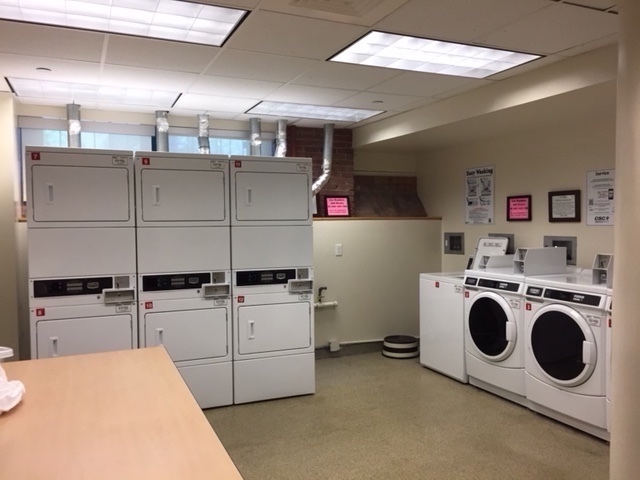 Beside the Study Room is the Laundry Room, with washers and dryers (which cost $1 each per use) that are new as of 2018, as well as an ice machine. 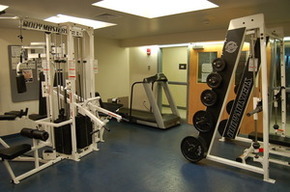 Across from the laundry is another popular facility: the Warehouse gym. The gym has a treadmill, a Smith machine, free weights, and other equipment, as well as music players and a TV to keep you entertained! 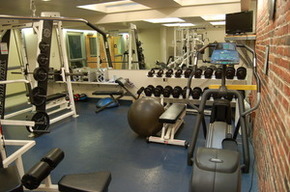 A smaller gym annex is available on the first floor with an elliptical machine and reclining stationary bike. In the first floor atrium there is a lounge area with nice seats (including some LC2 chairs and Barcelona chairs), plants and a lot of natural light. 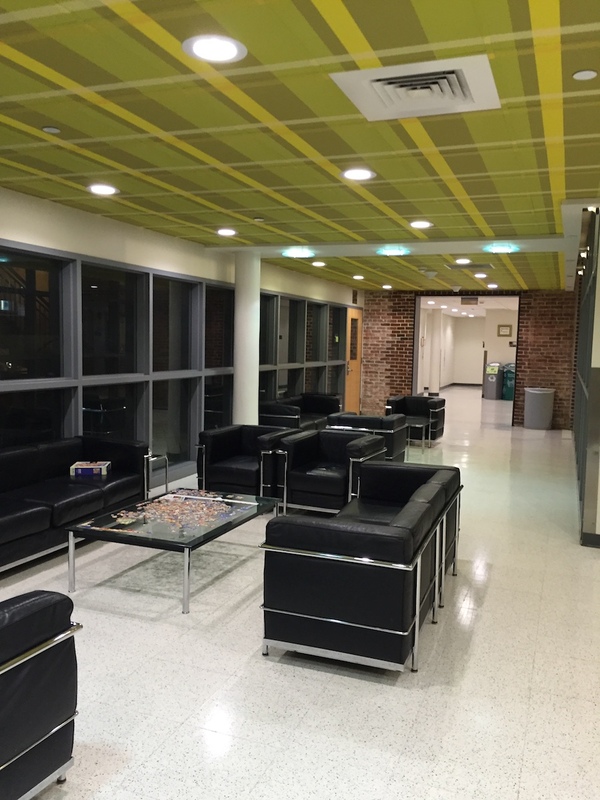 The second and third floors have slightly smaller lounges, but they have white boards and are a nice location for smaller gatherings. The Warehouse has a small library with an eclectic collection of books that residents can borrow from. 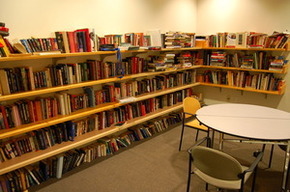 The books are presently in the first floor gym annex (which used to be the library, see photo), but plans are underway to create a cozy library/lounge space in the third floor lounge, and to update the furniture in the second floor lounge as well. 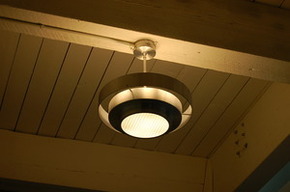 Stay tuned for updated photos! 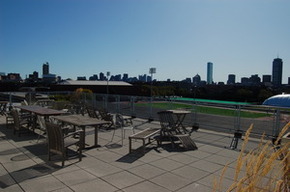 On the fifth floor is one of the Warehouse's more unique facilities: a roof deck with a view over the MIT sports fields, and the Boston skyline. There are plenty of tables, chairs, and loungers, making this the perfect location for a beautiful evening with friends during the warm Summer and Fall. There is a garden with veggies and herbs that you can pick and enjoy. We hold events four times a year when we have a farmer from Green City Growers help us plant and harvest. This past year we had an abudance of kale, lettuce, cucumbers and tomatoes as well as mint, basil, sage and parsley that all residents could enjoy. 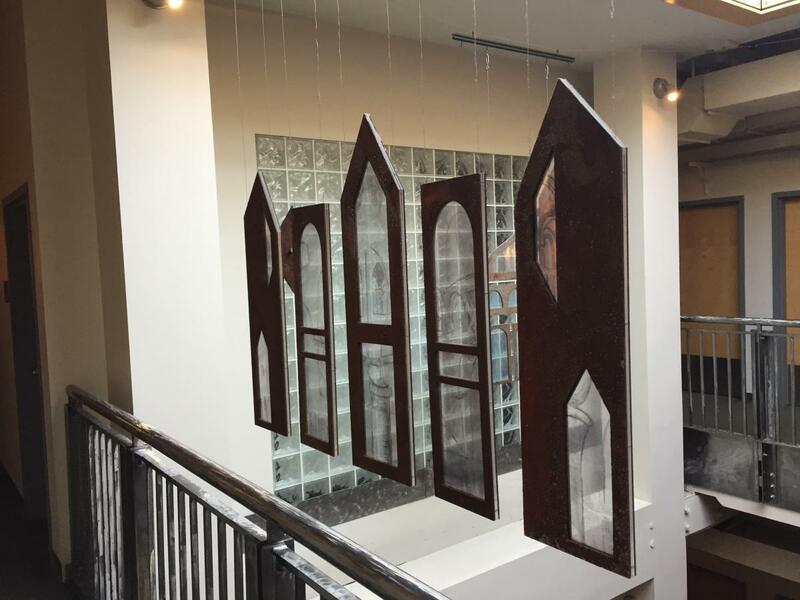 Several striking works of art combine with fixtures inspired by the building's industrial origins to create a level of style not seen in other graduate residences. 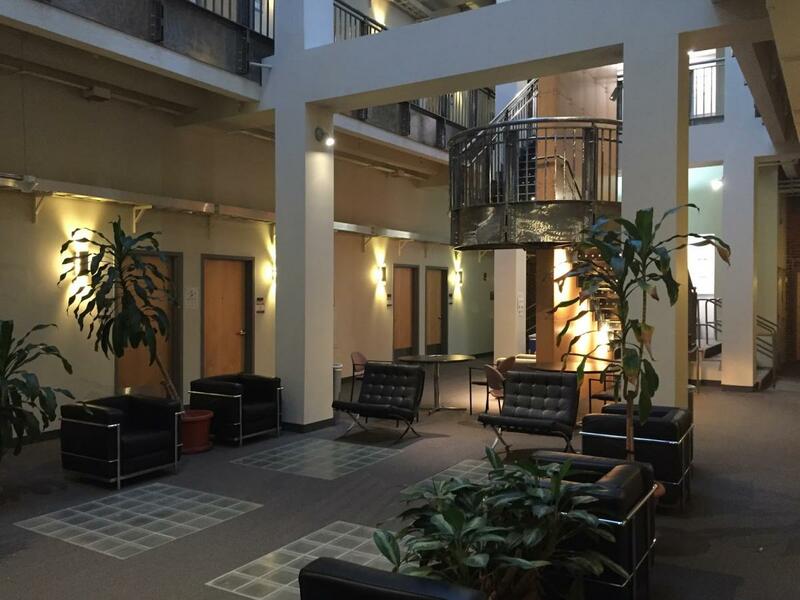 The apartments in the Warehouse encircle a central atrium filled with natural light. 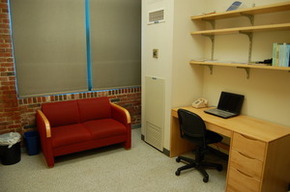 All residents in the Warehouse live in efficiency apartments. Standard apartments are 320 Sq Ft which, aided by a clever use of space, feels very spacious. 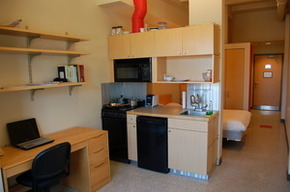 Every apartment has a kitchen area with oven, microwave, sink with garbage disposer unit, and small refrigerator. They also have a desk, chair, bookshelf, temperature control, two ethernet ports (for wired internet), and wireless internet coverage. Another feature of the Warehouse not found in most other graduate residences is the full XL bed in every apartment. 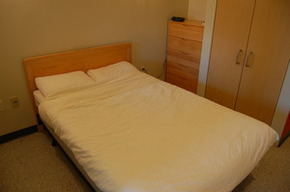 Bedrooms also have drawers and a wardrobe. Apartments have a small couch, whose color depends on which floor it is located on. 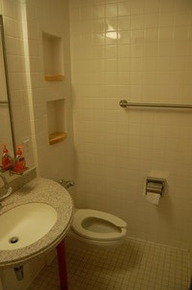 Every apartment also has its own bathroom with shower, sink, and toilet. That concludes our tour of the Warehouse. I hope you enjoyed seeing the beautiful building with its unique features and facilities, and decide to join us for your first year of MIT graduate study! If you have any questions please don't hesitate to contact the RAs.